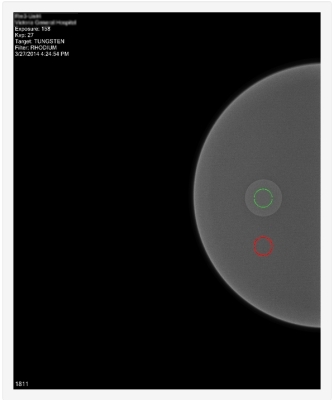 Real-time review of your mammography quality assurance test results. 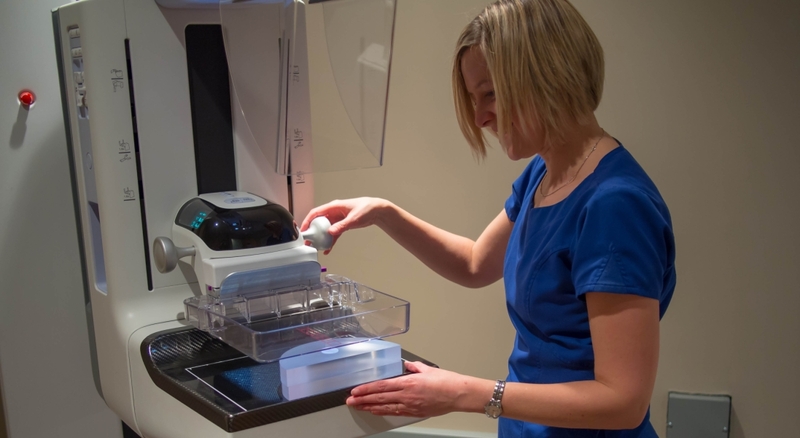 SDNR tests can be automatically performed by MammoQC using the DD phantom in a matter of minutes. Technologists are only require to take an image. One the exposure is taken, simply push the image to the Transfer Grid. MammoQC will automatically pick up the image and analyze it for you. View your test results immediately. You can preview the phantom, selected ROI positions, physics technique data, and have all SDNR results plotted automatically. MammoQC will automatically detect the lesion in the DD phantom and select appropriate ROIs for you. SDNR results are automatically tracked, sorted, and collated. 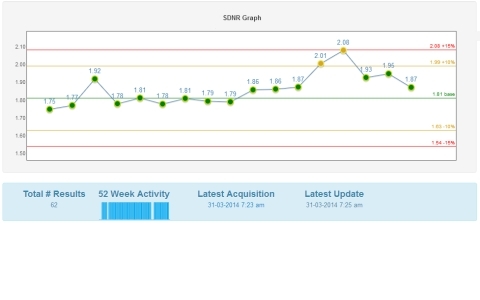 A real-time graph is available, per-unit, on the dashboard where you can see how your units are performing over time. 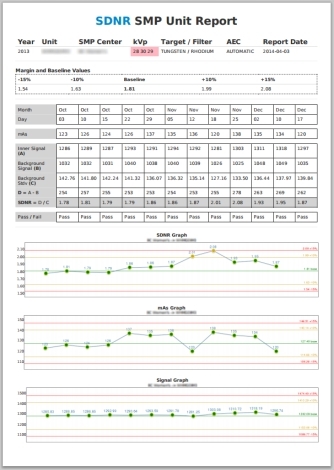 Generate full reports for your units with a single click. SDNR, mAs, and Signal are all plotted along with a chart of important measurements. This site is currently in active Beta development. If you have any questions, please email rrajapak[at]bccancer.bc.ca. Page generated in 0.00189 seconds, 149 queries.